If you’re feeling down, ask yourself this question. What specific positive action would make you feel better? 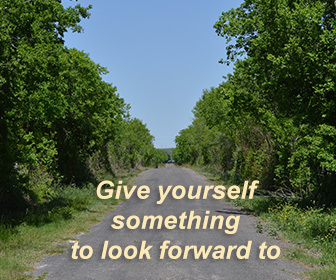 Push the negative thoughts out of your mind by thinking of ways to move forward. Focus your thinking on all that you love and on creating the best of what can be. You don’t have to automatically think or feel a certain way just because something unfortunate occurred. You can decide for yourself how you want to feel, then think the thoughts and take the actions that will get you there. It’s not nearly as difficult as it might seem. Once you make the intentional choice to feel better, you can quickly begin to act on that choice. There is some positive, decisive action that will change your whole outlook in an instant. It could be something as simple as a smile, a brisk walk, a kind gesture, or anything you imagine. What is it that would get you feeling great right now? Go ahead and make it happen.